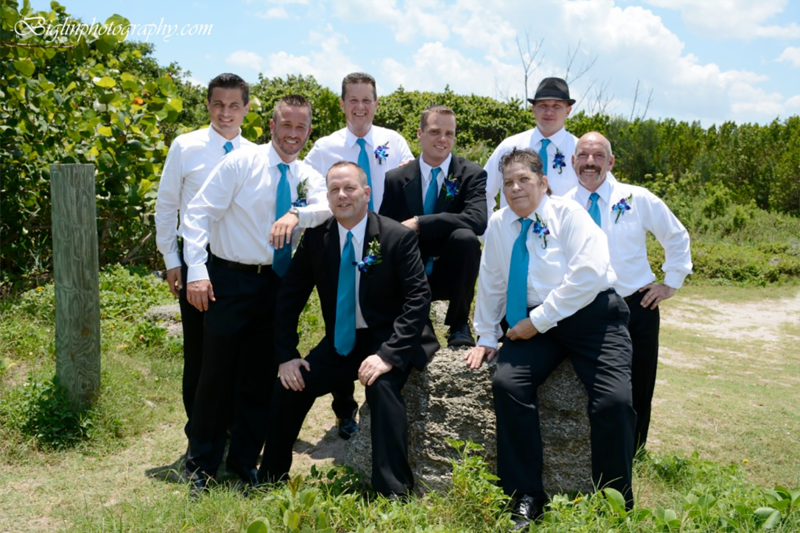 Biglin Photography was honored to photograph Dan and Jesse who were married in the month of May at Bob Graham Beach. 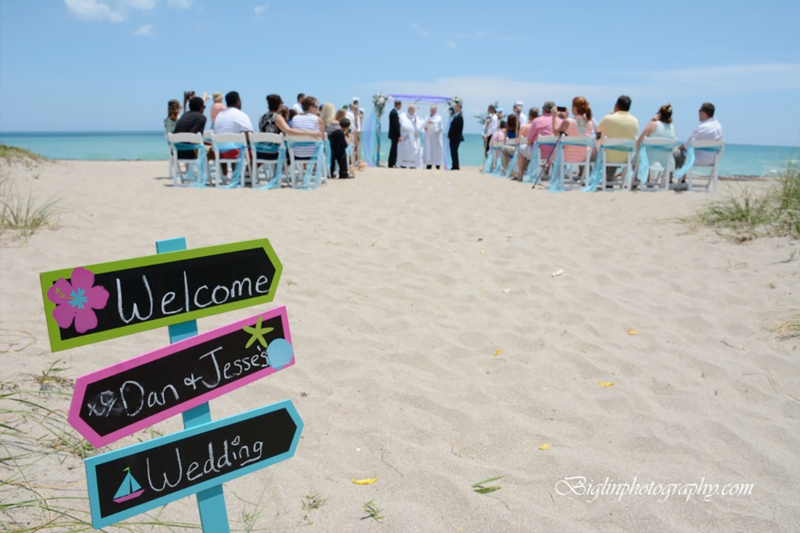 It was a morning seaside ceremony followed by an amazing reception at Rebar Night Club. Dan and Jesse wore black tuxedos, as did their wedding party whom they had allowed to leave their jackets at home. A beautiful and moving ceremony was held by two officiants! The wedding party was clearly close friends and family. After the ceremony, wedding photos were taken of the wedding party and some romantic photos of just Dan and Jesse. 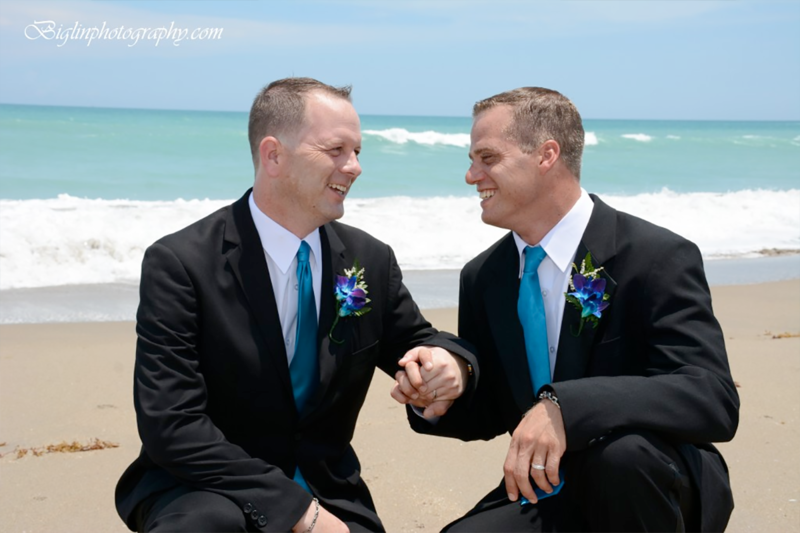 The reception was decorated with all the colors of the rainbow, highlighted with a dominant blue. They enjoyed their first dance among friends and Jesse belted out a song to Dan. Mette Biglin of Biglin Photography has been shooting award winning photography service since 2005. You will not get a 2nd chance for wedding photos. Contact award winning professional photographer Mette Biglin for a free consultation for your wedding day! 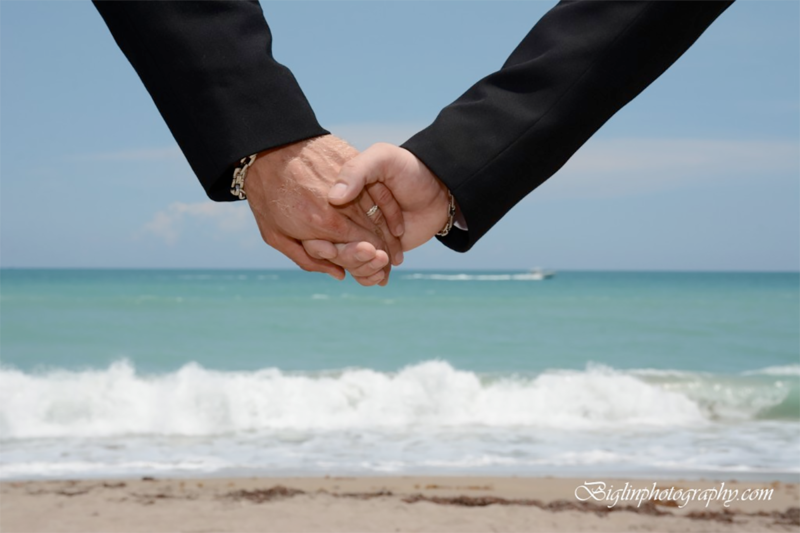 Mette Biglin proprietor of Biglin Photography, is as professional photographer that photographs LGBT weddings, LGBT family, portraits/headshots, real estate and offers aerial drone video.